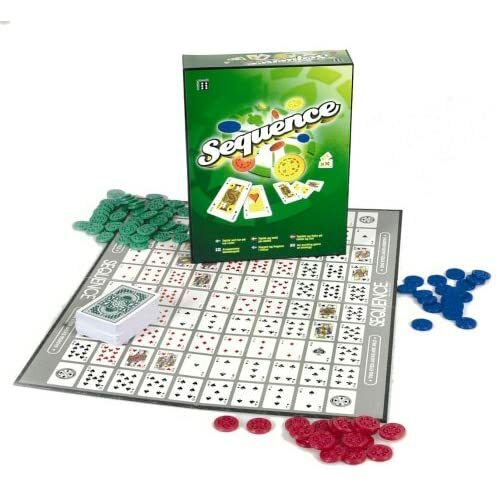 Sequence is a game of strategy mixed with the luck of the cards. Very much like Connect Four, the four in a row tabletop game, only with a difference. This game has a board, cards and counters, which are called marker chips. Instead of four marker chips, you need a row of five of the same colour in a straight line, either up, down, across or diagonally on the board. With the help of the cards, that are repeated twice on the board (with the exception of the Jacks) the first player or team to score two sequences win the game! Watch out for the bonus chips in the four corners of the board, the Jacks and the Dead Card. They add a fun and stimulation to the game play. You have to think on your feet, keep an eye on the board, whilst attempting to keep one step ahead of your opponent. I think the age 7+ for the players is a good choice, it would not be easily understood by the younger children. It's not educational as such, but there is an element of being able to plan ahead, know your cards and keep tabs on where the other players are placing their markers - so a certain amount of skill is needed, and it's one that is good to learn. Up to 3 players may play individually, or any number from 2 - 12 that is divisible by 2 or 3. I found playing in teams especially fun! 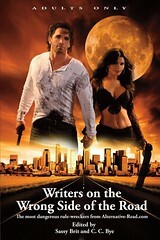 Was this review helpful? Please pop over and rate it. Thank you!